North Carolina's former top insurance regulator said Friday he never performed favors for a big-money donor and he relied on staff experts when his agency approved changes benefiting the businessman now charged with trying to bribe the state's current insurance commissioner. 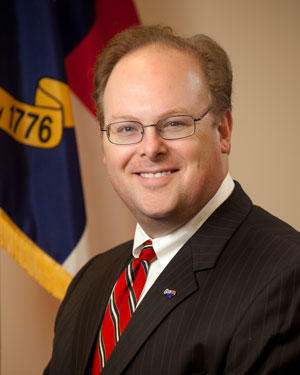 Wayne Goodwin, former NC Insurance Commissioner and current chairman of the NC Democratic Party, says he never performed any favors for indicted donor Greg Lindberg. Wayne Goodwin, now the state Democratic Party chairman, said in his first interview since federal indictments were unsealed this week that he always trusted financial experts on his staff and acted within the law. The state's GOP chairman is among those facing charges, and other Republicans and Democrats are facing questions about donations from mega-donor Greg Lindberg. Goodwin hasn't been accused of wrongdoing. But his Republican successor said in an interview this week that under the Democrat, Lindberg insurance companies were allowed to move far more money out of claim-paying reserves than was the previous norm. Goodwin argues his potential political rival is simply attempting to tie him to the scandal. During Goodwin's eight-year tenure ending in early 2017, the state Insurance Department sharply raised the amount of money Lindberg's insurers could move out of claim-paying reserves into other companies under his corporate umbrella. Some of the life-insurance assets were invested in higher-paying, higher-risk loans to non-insurance companies in which Lindberg holds a stake, a spokesman said in a statement last month. "Anything that would have been done would have either been done by a subject-matter expert or would have been raised briefly to my attention and I said, 'What do you think? Is this appropriate? Is this your recommendation?' I really don't recall any of the details," Goodwin said. Mike Causey, the Republican who defeated Goodwin in 2016, said his predecessor let the investment cap for Lindberg's companies rise to 40%. "There were some exceptions made here and it was different than what they had done with other companies," he said. Lindberg's net worth was about $1.7 billion at the end of 2017, a spokesman said in a statement last month. "I would like to have known that," Goodwin said. "That certainly would have been a major red flag to me and it appears from what I'm reading that there are things that have happened or are happening that not even the subject-matter experts expected." Lindberg's Global Bankers Insurance Group sought and received "the explicit approval of his affiliate investment strategy" from Goodwin's agency when he moved his insurance operations to North Carolina about five years ago, company spokesman Scott Lindlaw said in an email. "Significant discussions took place between Mr. Lindberg, his then-management team and NCDOI staff prior to their agreement to permit Mr. Lindberg to pursue this investment strategy. Mr. Lindberg's investment strategy was approved in advance by the NCDOI," Lindlaw wrote in an email. After Causey took over in 2017, the agency expressed concern about the size of the related-company investments and Lindberg's North Carolina-based insurance companies have downsized them with the goal of cutting to 10% of assets, Lindlaw said. Lindberg, his associates John D. Gray and John V. Palermo Jr., and state Republican Party Chairman Robin Hayes were accused in federal indictments unsealed this week of trying to bribe Causey to give Lindberg's insurers easier oversight. Lindberg's demands allegedly included replacing a deputy responsible for examining Global Bankers' accounts. In return, Causey could get up to $2 million in reelection campaign help, the indictment said. At their first meeting in November 2017, Lindberg asked Causey to call insurance commissioners in other states to vouch for Lindberg in his effort to close deals in their states. Causey refused to say in the interview whether he made those calls to help Lindberg. Causey hasn't been accused of wrongdoing. Goodwin, who didn't rule out challenging Causey, said the Republican's criticisms of him are an attempt to tie him to the scandal. "I did not take any action in my official capacity in exchange for any campaign contributions or anything like that. I am outraged and shocked to learn what the Republicans have done," Goodwin said. Lindberg and his wife contributed almost $20,000 to Goodwin's unsuccessful 2016 campaign. Lindberg also contributed $450,000 to an independent group that bought campaign ads supporting Goodwin, including $100,000 nearly a year after Goodwin's loss, according to state campaign finance records. The committee's treasurer was alleged bribery co-conspirator Palermo. The committee shut down in May. Goodwin has also been paid for consulting work on behalf of Global Bankers and Eli Global, Lindberg's broader conglomerate of insurance and other companies. Meanwhile, U.S. Reps. Richard Hudson, Patrick McHenry and Ted Budd, who received Lindberg contributions, said they're giving the money to charities, their spokesmen said Friday. Rep. Mark Walker's spokesman did not respond to how the congressman is treating Lindberg's donations. North Carolina Insurance Commissioner Mike Causey said it was made clear to him when he took office that Global Bankers Insurance Group was treated differently than other companies under his predecessor, Wayne Goodwin. NC Insurance Commissioner Mike Causey said his employees were concerned that Global Bankers Insurance Group had been given special treatment under the administration of Wayne Goodwin, whom Causey defeated in 2016. Steve Harrison talks with All Things Considered host Mark Rumsey about the indictment of Robin Hayes and three others in connection with an investigation involving donations made to the state Republican Party. Updated: Wednesday at 10:31 a.m.
North Carolina GOP Chairman Robin Hayes was one of four people indicted in connection with an investigation involving donations made to the state Republican Party.